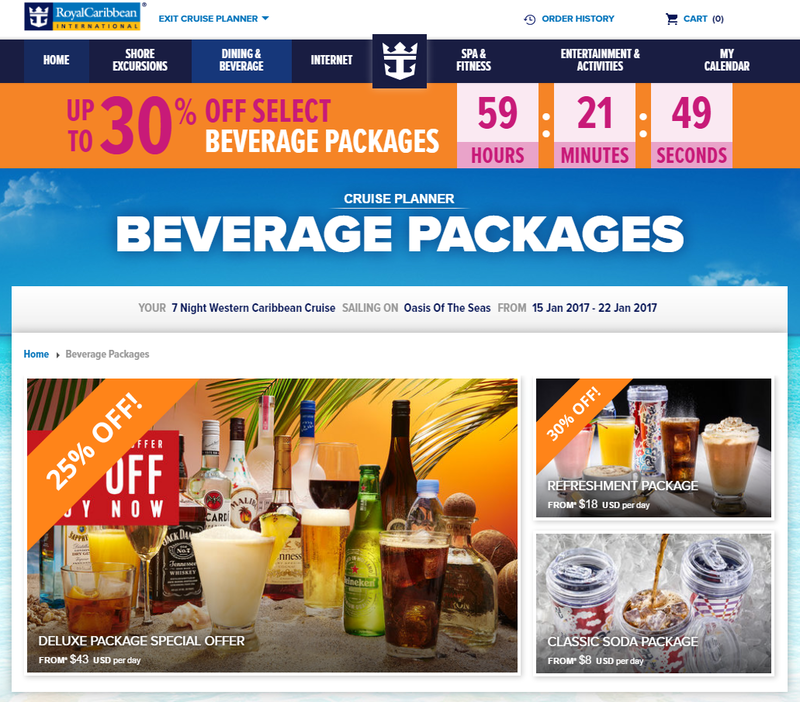 Many guests with cruises booked are reporting seeing up to 30% off certain unlimited beverage packages for their upcoming Royal Caribbean cruises. 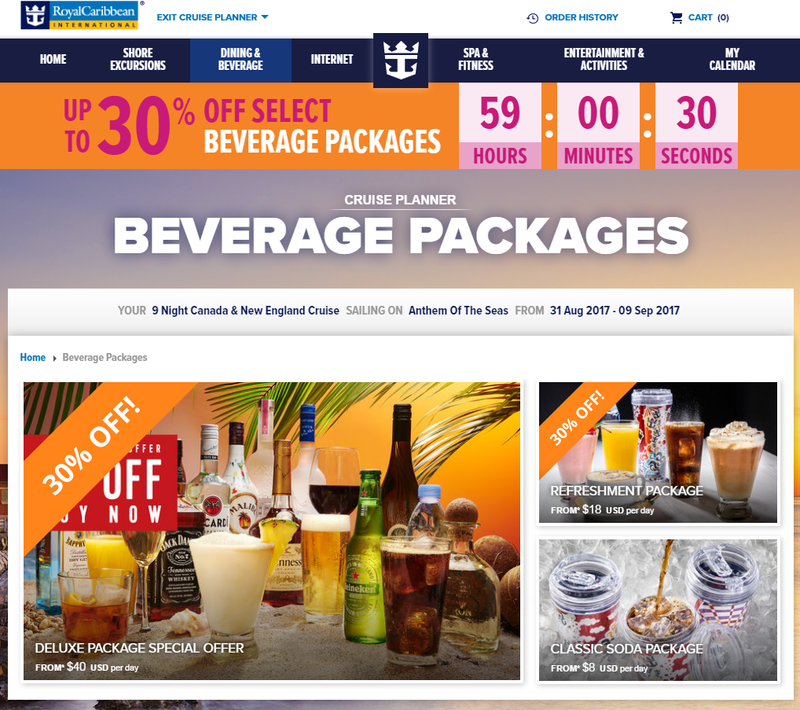 Royal Caribbean has been offering 20% the alcohol packages for a while now, but for the next 60 hours, there are now discounts of up to 30% off certain packages. The exact discount will vary from sailing to sailing, but the Deluxe unlimited alcohol package has been spotted with 20-25% off deals and the Refreshment package has been seen with a 30% discount. Based on the countdown clock, it appears this promotion ends at midnight on Sunday night, October 9, 2016. This promotion has been extended through midnight on October 10, 2016. 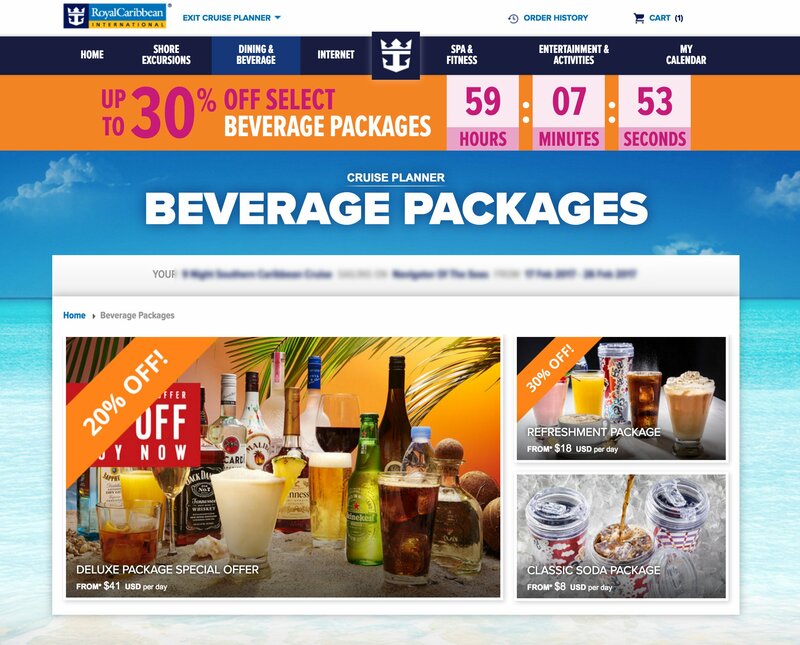 To check if your sailing has this new offer available, log into the Cruise Planner on Royal Caribbean's web site and navigate to the Dining & Beverage section to see any available offers. If you have a drink package already prepurchased, you should be able to cancel the purchase and then re-purchase the same drink package under this promtion. Thanks to Royal Caribbean Blog reader Michael C for assisting with this information! Do you see a similar discount for your sailing? Share the details in the comments and if you will buy one!